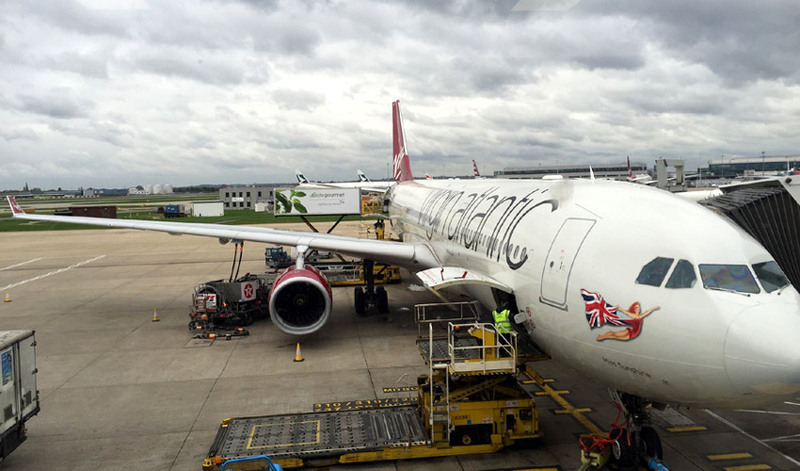 Check-in for Virgin Atlantic is located in Zones A of Heathrow Terminal 3 and is shared with its airline partner, Delta – Virgin and Delta have done well to integrate cohesive branding and service. All Economy Class passengers are processed using self-service machines. With only 1 member of staff available there was some delay for those passengers struggling with the automated process. However, the member of staff was delightful and offered an impressive initial service. The bag drop process was efficient and despite it being busy within 5-minutes I was heading upstairs to departures. Boarding was from Gate 21 a 10-minute walk from the main departure area. This is one of the smaller gates at Heathrow and provides a confined and limited boarding space. The actual boarding process was chaotic and dysfunctional – staff did not check boarding passes and passengers do not board the flight according to row number as instructed by the PA announcements. Airbus A330-300 in Economy Class was at approximately 60% capacity. Virgin Atlantic Economy Class passengers are permitted 1 x 23kg checked baggage and 1 carry-on bag (23 cm x 36cm x 56cm) – at no point was my carry weighed or measured. In addition, and like many international airlines, a small personal item such as a laptops badge, brief case or backpack is also allowed. The Economy Class seat has a 31-inch seat pitch and 17.5 inch width in a 2x4x2 layout. Being slightly over 6ft I find the 31-inch pitch to be restrictive and was expecting better. The seat had USB port as well as a iPod and AV socket located next to the PTV. Unlike many other airlines there was no 110v international socket. There are overhead air vents and adjustable headrests. The cabin was in good condition and included good quality overhead lighting, which created a nice ambience during the flight. The staff do not dim the lights on this 7hr 40m day time flight and this does not appear to be a problem for passengers. The washrooms are in good condition but unfortunately cleanliness was an issue and no checks are observed. By the end of the flight the washrooms were in a particularly messy condition. The flight departed 30 minutes late due a typically busy Heathrow but managed to make up the time for an on-time arrival into Detroit. 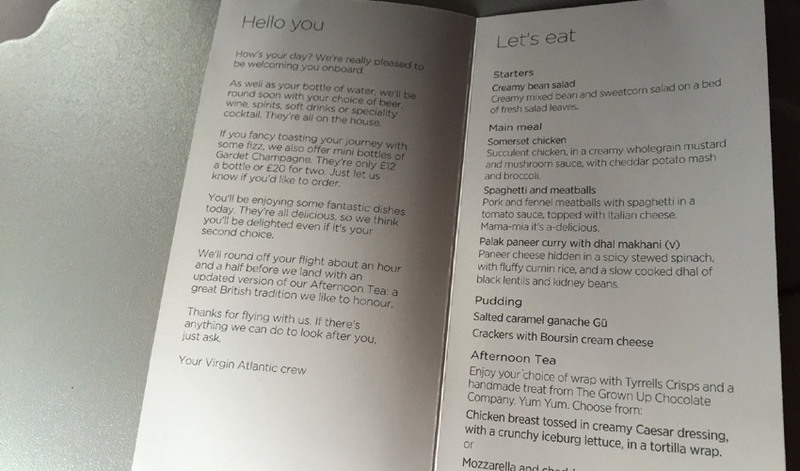 Prior to departure the crew distribute a small menu which gives detailed food information. All soft drinks, beer, spirits and a specialty cocktail are complimentary. Passengers can purchase mini bottles of Gardet Champagne (12GBP a bottle or 2 for 20GBP). 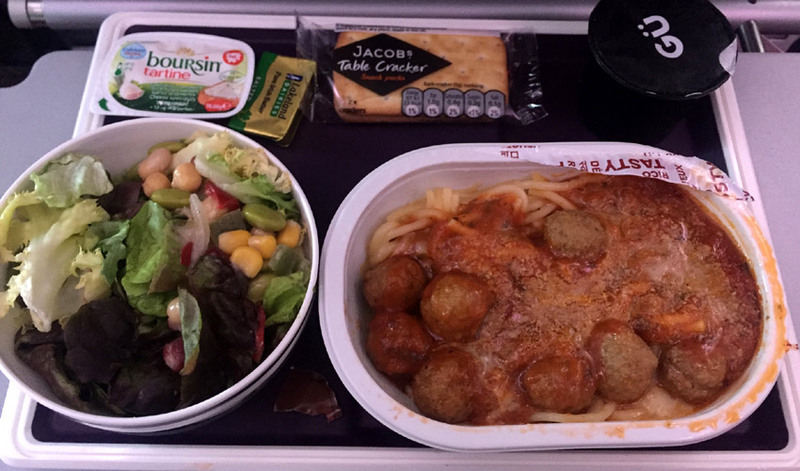 The inflight service begins approximately 30-minutes after departure with the meal trays being delivered. A bar cart is following but sitting towards the back of the cabin the beverage cart moves slowly and I could easily have finished my meal before being offered a drink. The main meal offers an appetiser (creamy bean salad), 3 entree options (Somerset Chicken, Spaghetti and Meatballs and a vegetarian option of Palak curry with dhal makhani), a dessert (Salted Caramel Ganache Gü), crackers with Boursin cream cheese and finally a white bread roll. I was impressed with both the presentation of the meal tray and the quality of the food. The salad was lovely and the spaghetti and meatballs had plenty of flavour and good texture. The highlight of the meal was the Salted Caramel Ganache made by Gü (a well-known brand in the UK) and it really was superb making for a very good finish to the meal. There is a further beverage service 15 minutes later offering hot drinks. I was surprised by this as it meant there was only 1 full beverage service during the meal. During the rest period crew distribute a miniature ice cream lolly, which is nice, particularly as this was a day flight and most passengers were still awake. The final service offered a choice of 2 wraps (Chicken Breast with Caesar Dressing or Mozzarella and Cheddar Cheese Combo) served alongside a small box of Tyrell’s Crisps and a handmade treat from The Grown-Up Chocolate Company. The quality of this pre-arrival meal was good – the wrap was fresh and the snack items from good brands, however, there is only 1 beverage service (hot beverages and selection of soft drinks). There was no second offer and this was the biggest disappointment of an otherwise strong catering product. The A330 offers a PTV with a slow and frustrating touch screen (no remote). The programming selection is extensive – the films were heavily geared towards Hollywood although there was a small selection of international options available. The A330 does not benefit from the Virgin Atlantic WiFi network but instead passengers can roam, as they would on the ground. I found the system to be slow and horribly expensive. 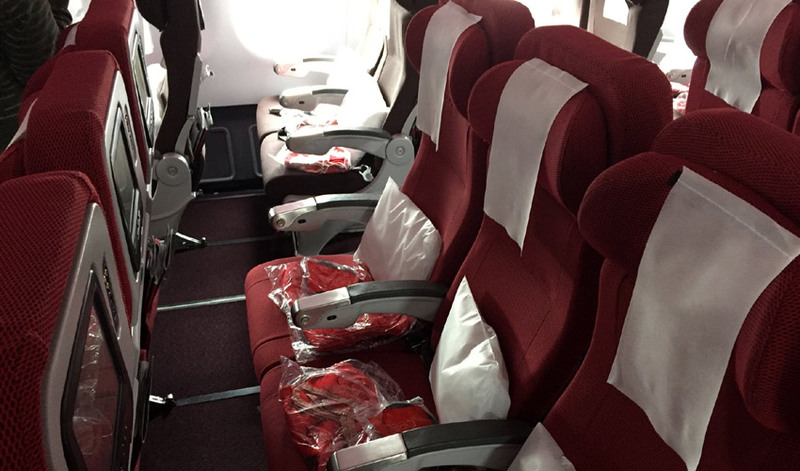 Pillows and blankets are available on each seat prior to boarding and the quality is fine. There was no offer of ear plugs or eye masks although this was a day time flight. 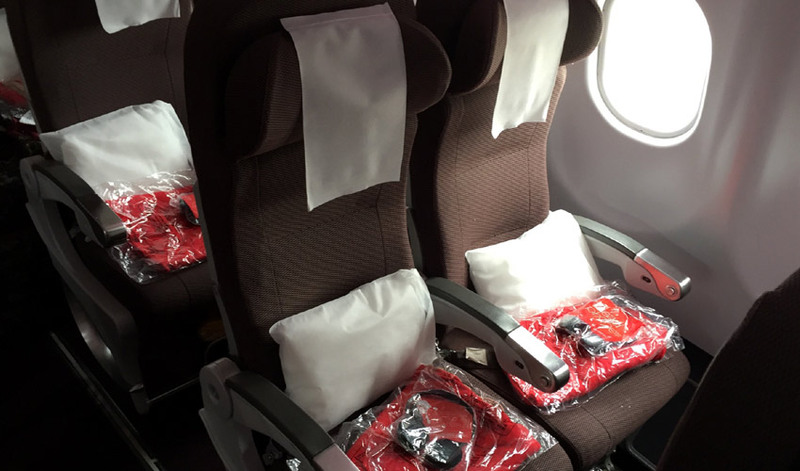 I had been looking forward to flying with Virgin and had high expectations of their staff service – Virgin’s marketing (and a recent documentary series on UK television) places a great emphasis on their staff and I was not disappointed. The staff were excellent – friendly, enthusiastic and interactive with passengers. Staff dialogue and eye contact was excellent and they seemed to be enjoying their job. The service was one of the most impressive I have come across on a European airline, and although it doesn’t meet the service passengers may receive on some Asian carriers it left me with an excellent impression. Overall the Onboard product was a little disappointing and the 31-inch seat pitch ensured I got off the aircraft knowing I had just spend 8 hours in a fairly uncomfortable position. The inflight entertainment, although not the best hardware available, offered a good selection and the kids section would certainly come in handy for many families travelling with children. The items which stood out on this flight are the catering and staff service. There was minimal availability of beverages and a lack of coordination between the food and beverage cart, but the meal tray was nicely presented and the food was impressive, and Virgin do not seem to be looking to save money on the food quality and presentation. Despite the issues highlighted, I left the flight with a positive impression of the airline, which was largely due to the staff. They were friendly and professional and although I may have got lucky to get such a consistent crew, there is a clear emphasis on this element of the customer service experience.